AMS AG, an Austria-based maker of light sensors for smartphones, became at least the fourth key supplier to the U.S. company this week to reduce revenue estimates for the current quarter. The spate of warnings, coupled with underwhelming earnings from main iPhone assembler Hon Hai Precision Industry Co., underscore concerns about weak demand for Apple’s bread-and-butter device. Why isn’t anyone speculating that Apple might be building the faceID technology in house? It seems like something they’d like to own and secure, given their track record. So, my wild prediction — Apple cut down its components from suppliers because it’s likely building similar technology on its own. Pot calling kettle – white? 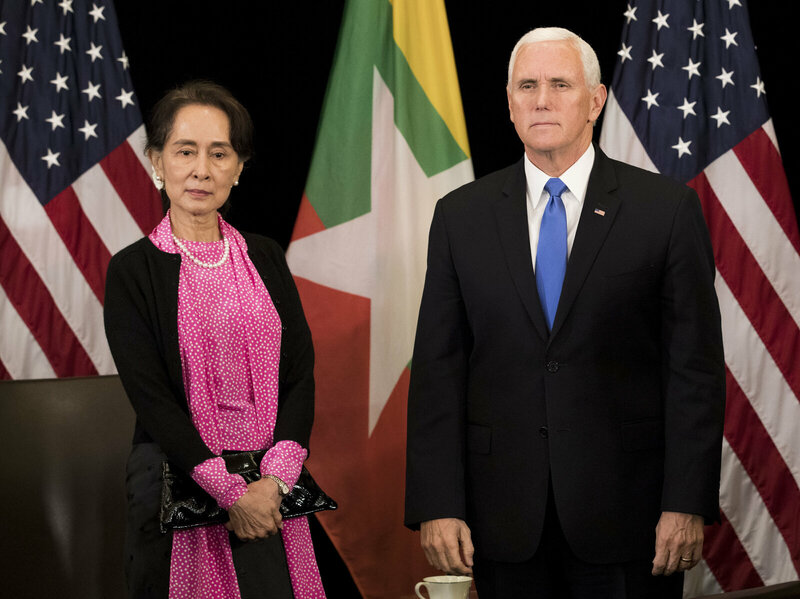 Vice President Mike Pence had strong words for Myanmar leader Aung San Suu Kyi at a regional summit being held in Singapore, calling out her country’s brutal military campaign against minority Rohingya Muslims and the imprisonment of two prominent journalists.